There was supposedly a 1-for-1 promotion going on from 11 November 2013 to 15 November 2013. The poster for the 1-for-1 promotion was displayed right there. The Uncle smiled at me when he spotted me looking at the menu board. 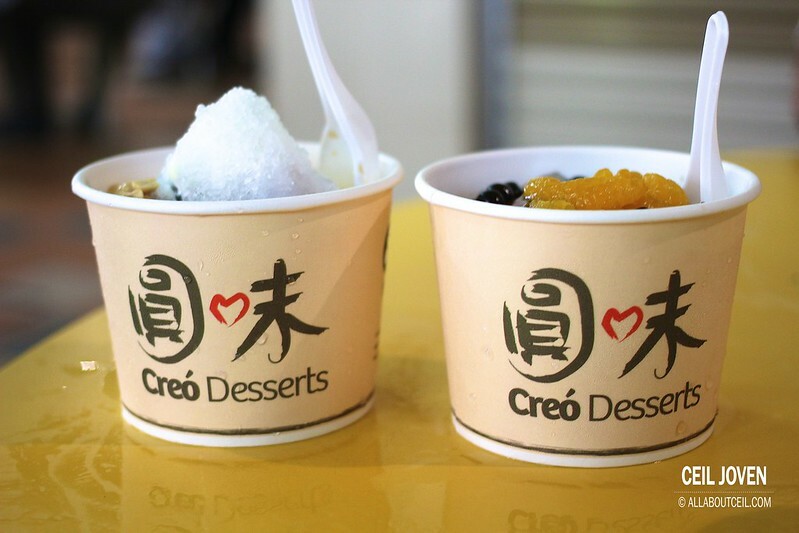 I finally settled for Double Pudding Milk Ice with Assorted Tapioca Balls (C6) and Mandarin orange, Pearls with Aiyu Jelly (H1). Both are for $2.50 each. I was prepared to pay only $2.50 though a $5 note was given as i taken for granted that it should be 1-for-1 as stated in their promotional poster. I waited for my change of $2.50 but the Uncle was not giving it to me. It gotten me to wonder for a bit so i asked. Uncle was telling me the 1-for-1 offer is only applicable to that particular one shown on their poster. I studied the poster again but there was no indication of so there. Uncle did ask me whether i want to change it. I went ahead with my choices as one of the desserts has already prepared and placed on my tray. I felt the Uncle should have highlighted it when i placed my order. Anyway, what you see on the menu board is not what you will get. 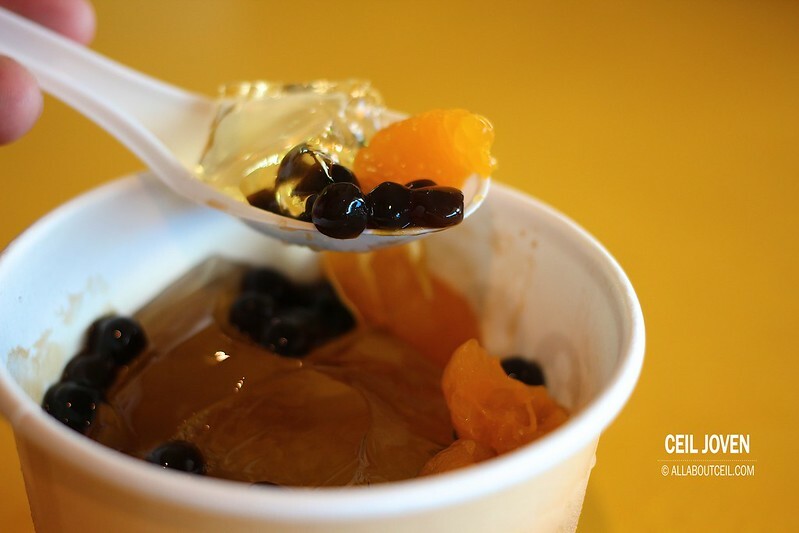 The presentation of Mandarin Orange, Pearls with Aiyu Jelly was nicely illustrated as a pile of cone shaped shaved ice topped with slices of mandarin orange and pearls served on a plate on their menu board. 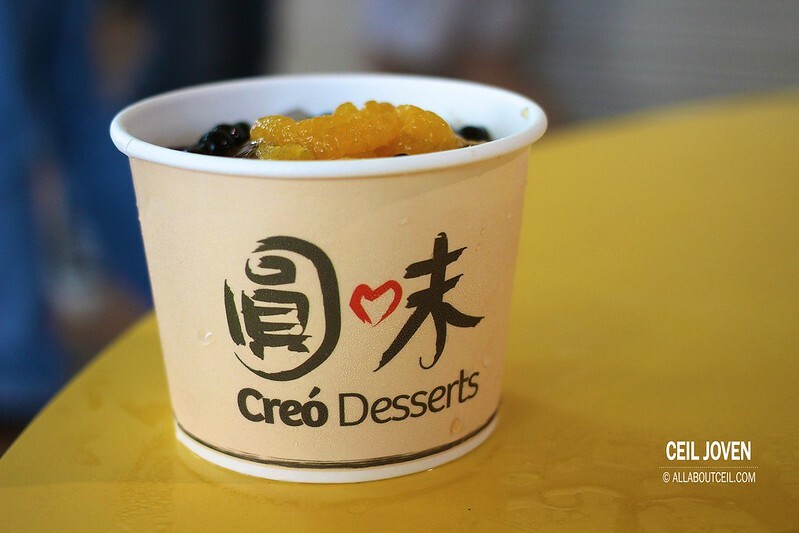 What i actually got was a portion of Aiyu Jelly served in a big paper cup topped with a few slices of mandarin orange together with pearls. When i dug further, the pile of shaved ice was right below the Aiyu Jelly. Those slices of Mandarin Orange were a little too sour to my liking. The pearls have got the desired softness with just the right chewiness. 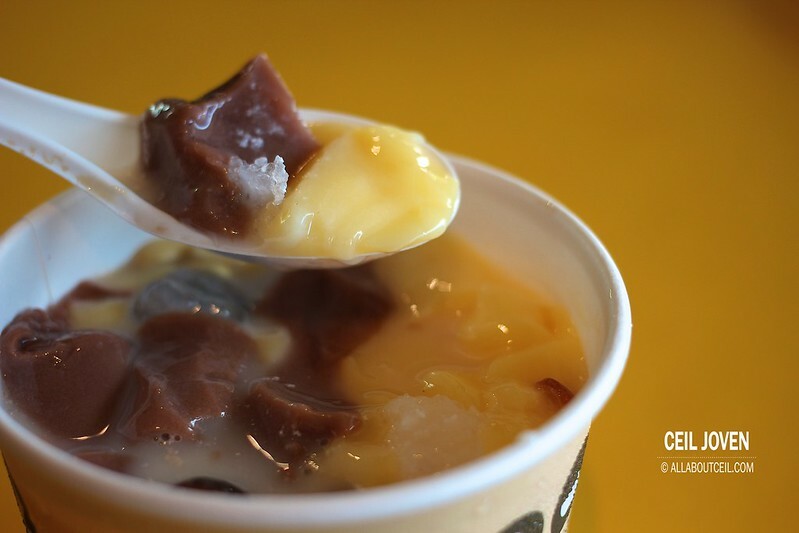 The texture of Aiyu Jelly was delightfully soft too. 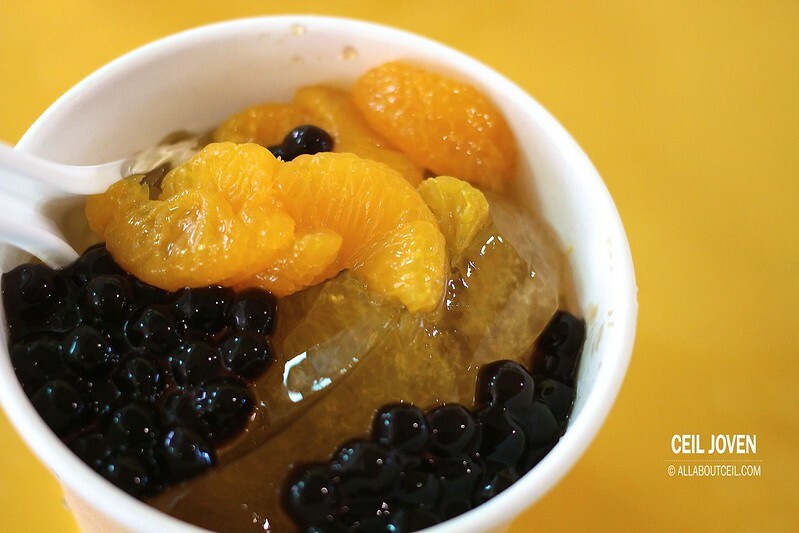 Somehow, i do not quite appreciate the combination of Aiyu Jelly and Mandarin Orange though. 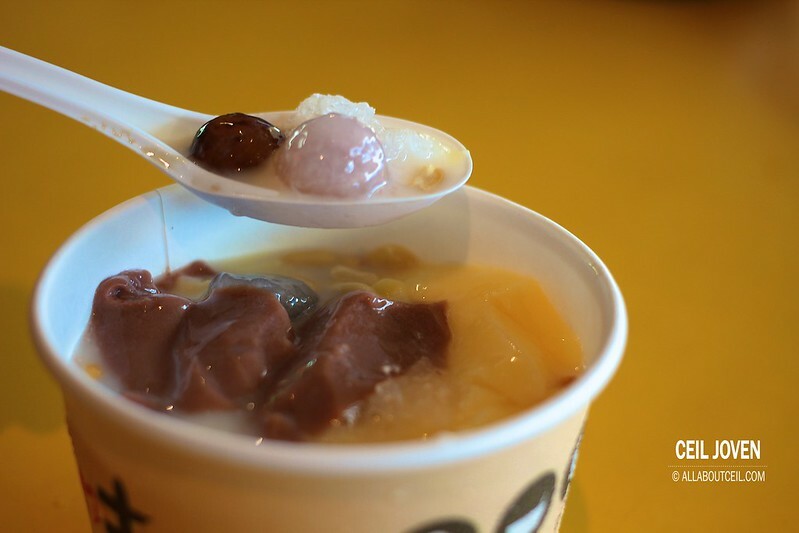 Apparently, the Double Pudding Milk Ice with Assorted Tapioca Balls did not fare too impressively as well. There were 2 types of puddings added in it. The brownish color one tasted a bit like Milo. The other has got a milky taste. 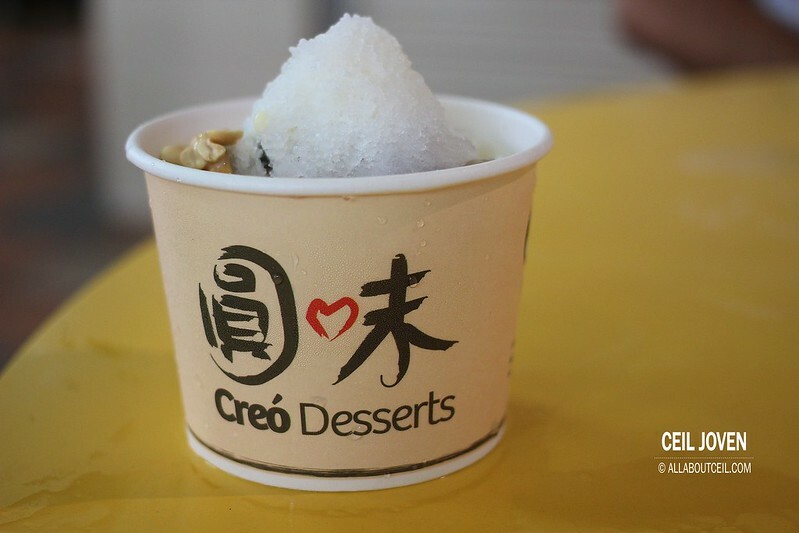 It was served with assorted tapioca balls including those with filling but i could only differentiate the one with red bean filling and the rest tasted just the same. The texture of both types of pudding was a tad too soft. 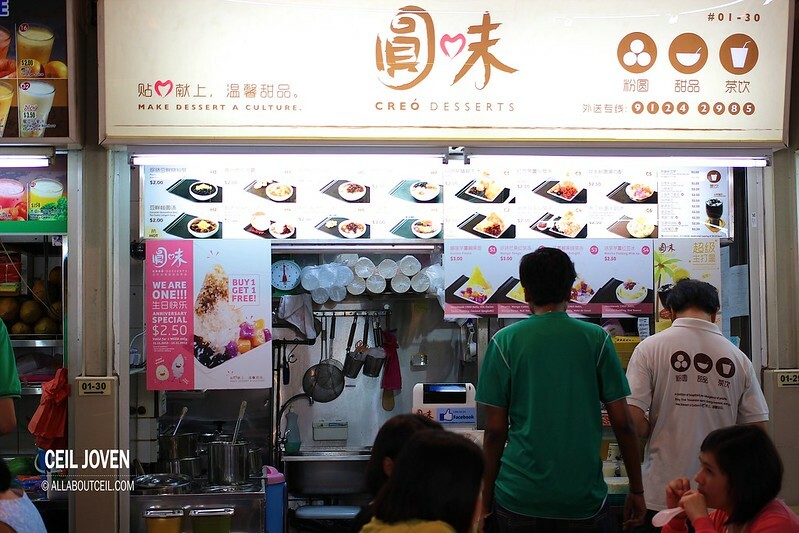 Their standard is comparable to Blackball though cheaper in prices but i do not like it enough to go back soon.